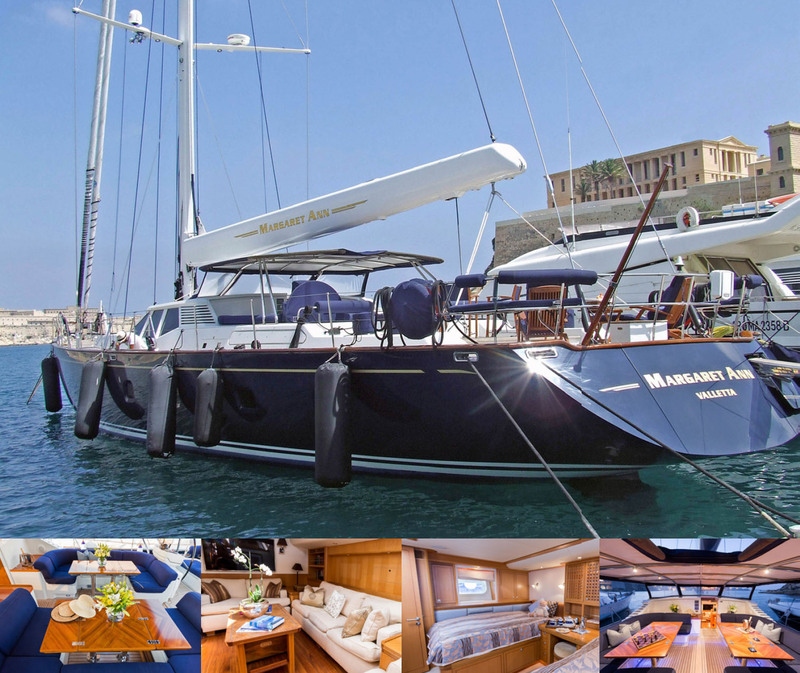 Margaret Ann is a 95.5 foot sailing yacht with three passenger cabins, a starboard cabin, a port cabin and a master cabin. It is capable of comfortably sleeping up to 12 passengers as well as the crew. This yacht is in pristine condition. It has a full complement of electronics and equipment for cruising globally in luxury and absolute comfort. Its history of Atlantic crossings and cruising both European waters and the Caribbean are a testament to its true pedigree, with the highest build quality and optimum design. She was further rewarded for excellence in all respects as a finalist in the International Superyacht Society of the year awards.